with shortened Hurst shifter, and RPM overlaid white faced gauges. The rear is a 8" with 2.79 gears, soon to be a 9" 3.50 Trac-Lok. 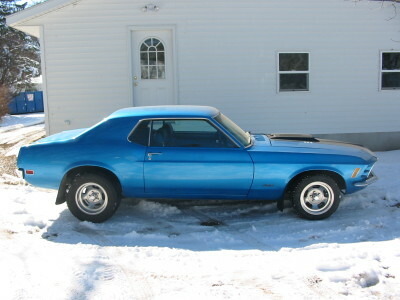 I bought this car when I was 15 and spent 2 years restoring it. It is my weekend cruzer. '77 Ford F-150 camper special with a 460.